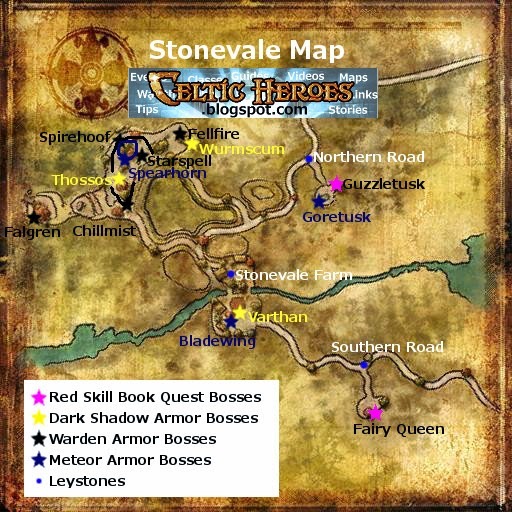 Stonevale has changed in the Destiny Engine. Here is a guide to help you on your way. Bericus MacCroin - Sells the second tier of Ancient armor and weapons. His shop is unlocked after completing the Tam Lin quest line at level 62. Sunbranch the Faerie - Sells faerie fashion charms jsut south of the Farm by the windmill. 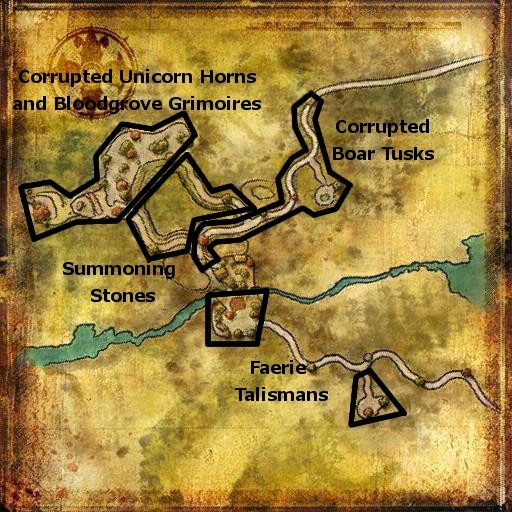 5 book pages for your specific class - These drop from 4* mobs in the Bloodgrove area of Stonevale. Some examples of mobs they drop from are Dreamsong Wisps, Baobhan Sidhe, Otherworld Harbinger, Ventus Bloodbinder, Blazemounts, and Bloodgrove Masters. A Red Book Binding and a Red Book Cover - You can get these from Atrisal the Invincible in Shalemont, Guzzletusk at the Northern Road in Stonevale boar pit, or Faerie Queen in fairy pit at the Southern Road in Stonevale. This quest requires that you defeat each one of the major Stonevale bosses in order. The quest starts at Rhona the Druid at the Farm. The quest starts at Tabitha the Scholar at the farm. Get Tam Lin's Sword from the Glimmerwing Pickpocket at the Southern Road. Return to Tam Lin. Get Tam Lin's Brooch from the Glimmerwing Rascal at the Southern Road Faerie Pit. Return to Tam Lin. Get Janet's Engagement Ring from the Glimmerwing Thief at the Norhern blue wisp road. Return to Tam Lin. Talk to Janet to finish the quest. Find the Refugees in Stonevale and use Bandage Wounds on them. Defeat the Mystic that the statue tells you to defeat. There are three of them, the statue picks one.